Summer is just around the corner and with the weather heating up I have been browsing the isles of online shops to find the latest pieces of Summer 2015. This Summer is all about the off shoulder tops and basic tees. Light and flowy pieces will be your best friend in the warmer days. I found these pieces from Sheinside, which houses all the latest Summer trends at steal prices. They provide clothes to appeal to everyone's style with such a huge range you'll struggle to not find something you like. 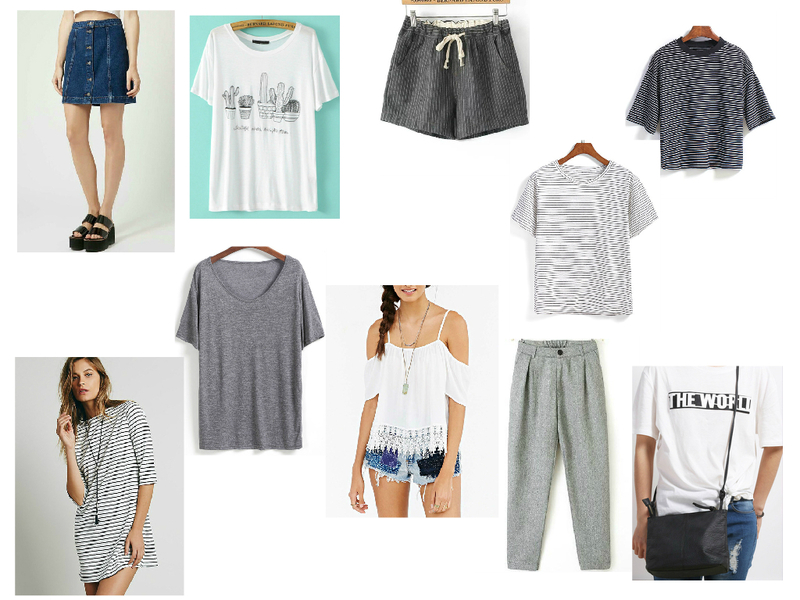 the pieces I picked out are what is on my Summer want list and I thought to share it with you for inspiration. Just click the products name to be taken to sheinside.com and view the individual item. I am aware there is a lot of stripy-ness going on in this wishlist. but honestly I cannot get enough of them. They are such timeless item that will pair with anything you have in mind. These items are right up my style and are very versatile pieces that can be worn all year round and not just Summer! What items are on your Summer wishlist? I have a button up skirt from Zara and I'm starting to wear it these days now it's hotter and I never knew how versatile it is to style it! I am definitely looking to get my hands on one!